In eastern Washington’s Okonogan County, people value long-lasting connections with the land: many local ranches and businesses have been in the same family for four or five generations. To help preserve this tight-knit, rural way of life, The Trust for Public Land is working with the community to prevent productive farms, ranches, and forests from being fragmented or developed. Keeping people on the land they love can be beneficial for wildlife, too. The Okonogan region is home to many healthy rivers rich with trout and salmon. The land is a crucial link in a migration corridor that stretches from Yellowstone to the Canadian wilderness, providing habitat for many rare and endangered species. 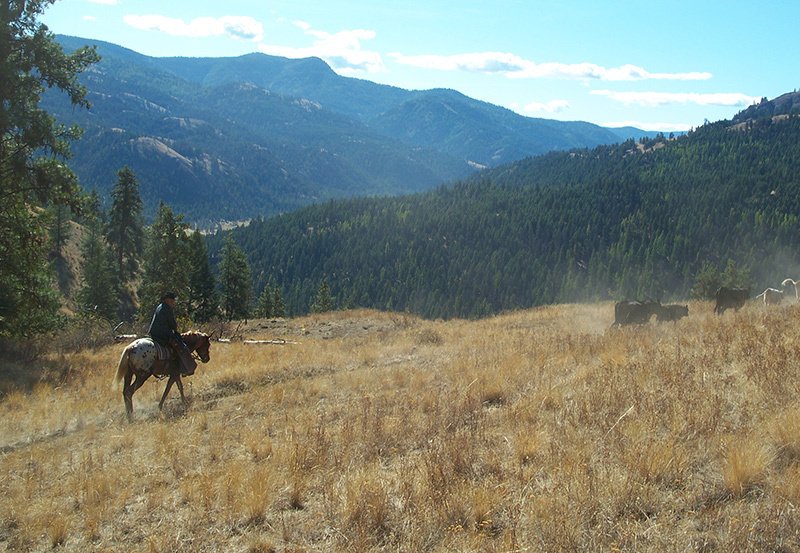 We are proud to partner with the people of Okonogan County, the Okanogan Land Trust, and many public agencies, including the Washington Wildlife and Recreation Program and the Natural Resources Conservation Service, to continue conserving the rural way of life in eastern Washington.